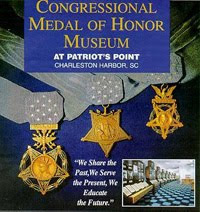 Members of the 24th Infantry Regiment Combat Team Association, and family members of Medal of Honor recipients Army Sgt. Cornelius Charlton and Army Pfc. 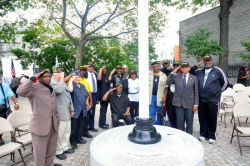 William Thompson cut the ribbon at Charlton Thompson Memorial Garden in the South Bronx (NY) on August 16, 2011. $3.7 million was raised to renovate the garden and the site was renamed to honor both men. 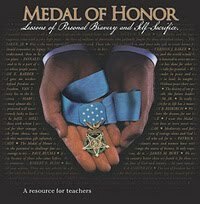 Charlton and Thompson are the only two Black Medal of Honor recipients of the Korean War and out of 87 African-American recipients of the Medal of Honor, only two are from the Bronx. On August 6, 1950 in South Korea, Army Pfc. 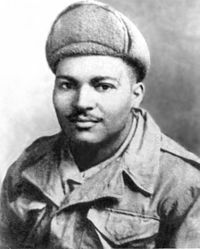 William Thompson manned his machine gun during an overwhelming enemy attack, providing covering fire for his comrades despite his own wounds. 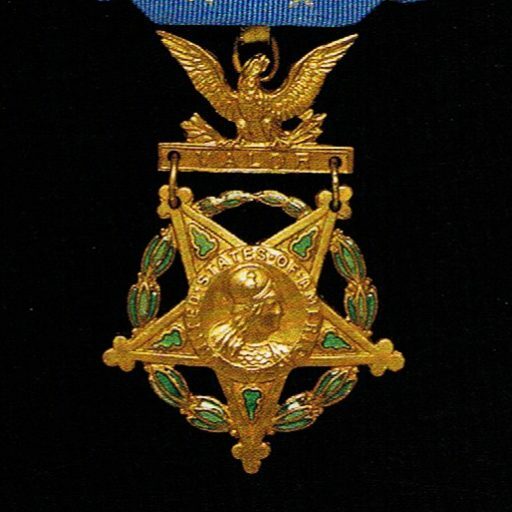 He died of his wounds that day, 10 days before his 23rd birthday, and was posthumously awarded the Medal of Honor for his actions during the battle. He was buried in Long Island National Cemetery, Farmingdale, New York. Army Sgt. 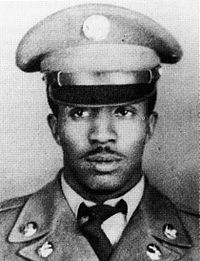 Cornelius Charlton served with the U.S. troops occupying Germany in the aftermath of World War II before being sent to Korea. Initially assigned to an engineering group, Charlton requested transfer to an infantry unit and was subsequently placed in Company C of the 24th Infantry Regiment, 25th Infantry Division. The U.S. Army was still in the midst of desegregation, and the 24th Infantry was the last all-black regiment in operation. On June 2, 1951 in Seoul, his platoon encountered heavy resistance while attempting to take Hill 543. Taking command after his platoon leader was wounded; Charlton regrouped his men and led an assault against the hill. 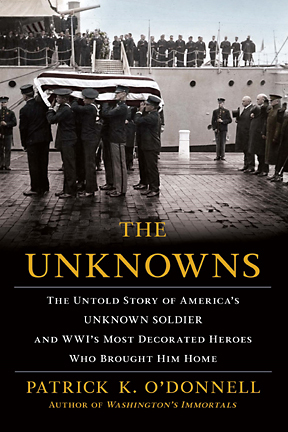 Wounded by a grenade, he refused medical attention and continued to lead the charge. He single-handedly attacked and disabled the last remaining enemy gun emplacement, suffering another grenade wound in the process. Sergeant Charlton succumbed to his wounds that day, dying at the age of 21. 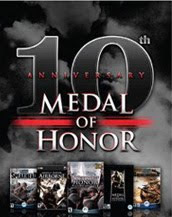 For his actions during the battle, he was awarded the Medal of Honor. Charlton’s body was returned to the United States and buried in Virginia. On November 12, 2008, Cornelius H. Charlton was re-interred at Arlington National Cemetery in Section 40, Grave 300.